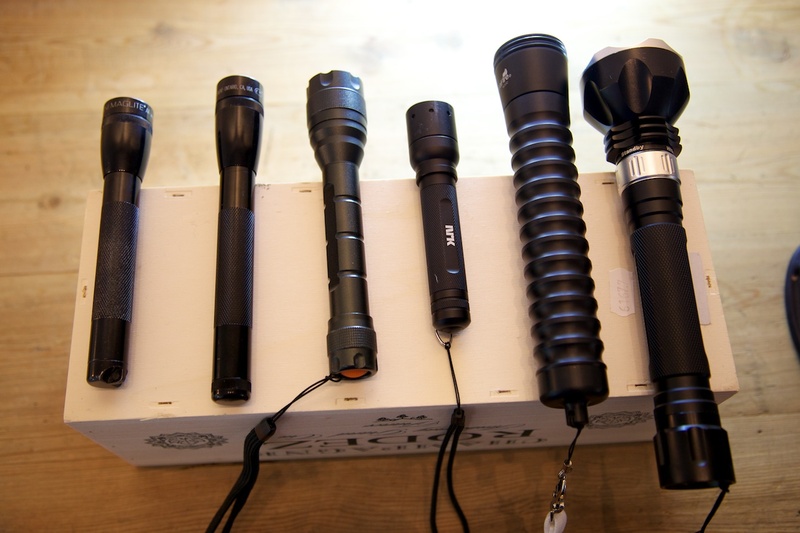 I needed some flashlights for use in water this summer and gave dealextreme a chance. After some reading I ended up with an UltraFire W200 and a Diving Cree SSC-P7. My conclusion so far is like most people that have done some flashlight research. The way the vendors measure Lumen must be completely different from each other. The 175 Lumen UltraFire is extremely bright and much brighter than my existing 100 Lumen LED Lenser T5. And the Diving Cree SSC-P7 that is supposed to be 900 Lumen is by far the brightest, but not at all 900 Lumen if they measure the way UltraFire ends up with 175 Lumen for the W200. 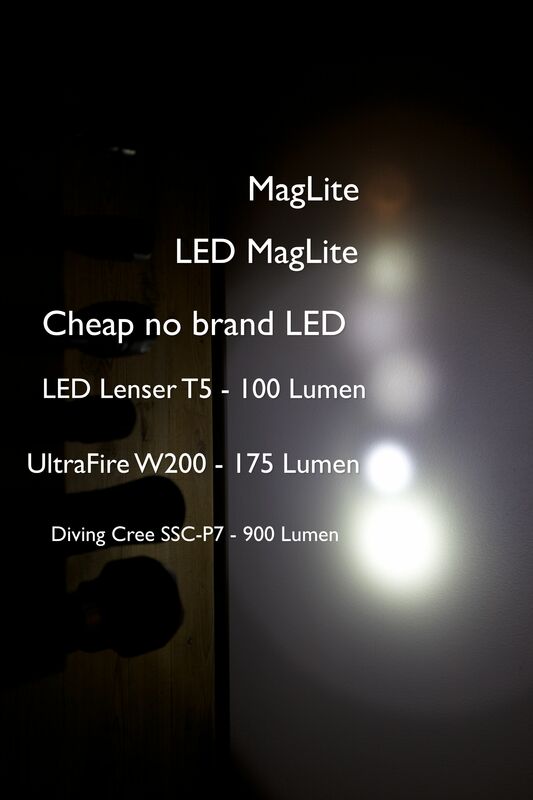 But anyway: both the Diving Cree SSC-P7 and the UltraFire seems very sturdy. They’re very bright and I look forward to some real life testing in water. The Diving Cree SSC-P7 has a very nice power switch based on magnets. Making the device completely sealed when in use. I made a quick video and an image for you to compare the two new flashlights with some of my old ones.